2 Bedroom Terraced House For Sale in Bury for £123,000. SOLD WITHIN ONE WEEK, MORE PROPERTIES NEEDED. 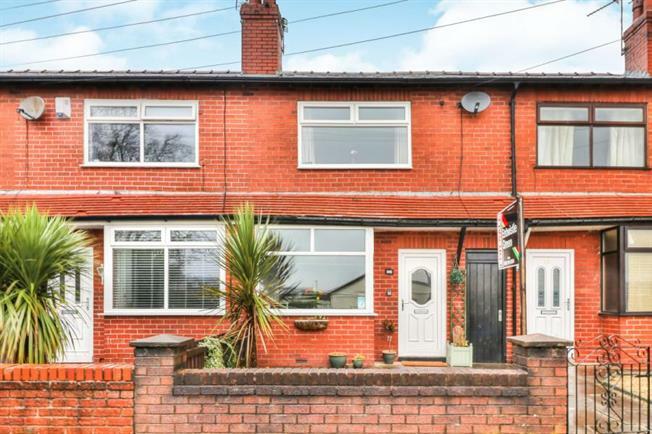 CALL ENTWISTLE GREEN TO ARRANGE YOUR FREE MARKET APPRAISAL ON 01617645024 TWO DOUBLE BEDROOMSMODERN KITCHEN/BREAKFAST ROOMMODERN BATHROOMGARDENS FRONT AND REAR Bay fronted mid terraced property in a sought after location. Briefly comprising of a bright lounge, modern breakfast kitchen, two double bedrooms and modern family bathroom. Outside there is a small enclosed front garden and a landscaped rear garden. The property also benefits from gas central heating, double glazing and must be viewed in order to fully appreciate the size and standard of accommodation on offer.